In 2007, Capture All was chosen to provide a document scanning service for Renfrewshire Council during their relocation to Gilmour House and subsequent return to Renfrewshire House. This was a complex project which many distinct aims. 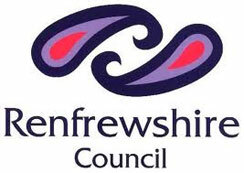 Renfrewshire Council had previously relied on physical copies of vital documentation. This caused storage issues and hampered the Council’s working environment. Additionally, because the Council used a specific document management system, all data had to be provided in particular file formats. Almost all of the Council’s departments utilised our services, with a wide variety of documentation coming from Planning and Transport, Finance, Housing, Social Work and Legal Services. Timing was crucial during the “exodus” from the Cotton Street building as staff were required to have access to information immediately after their relocation. The same applied to the eventual move back to Renfrewshire House. The process was managed and facilitated by Capture All in a timely and efficient manner with the help and co-operation of the Council’s staff. Although the move has been completed, we continue to work with several departments within the Council. To date, we have scanned in the region of 10 million documents for Renfrewshire Council. Click here to learn more about Capture All's scanning services.